It’s a bright, gray skied Thursday here on Madeline Place and I am enjoying such deep peace and happiness. Many hugs and cheek kisses are being mentally sent your way; I wasn’t sure what sort of outcome Pregnancy Tests and Baby Blues would receive but of course, without fail, you ladies pulled me into your arms and blessed me with your sincere love. Thank you, thank you, thank you. You may have noticed the changes occurring in this quiet place. The name changed from Of Mess and Glory back to the original Authentic Virtue. I like it better this way. I think, for some reason, I had gotten distracted from the pure, most sincere reasons I write — to encourage women to live with the full knowledge that Jesus is beside them and that authentic (real, tangible) virtue (moral power) is the most beautiful thing they can show this world. And then there is this blog. This wonderful, fun place I love to meander around in. What should it look like? How much time should I dedicate to it? Who should it reach? I have a lot of big dreams when it comes to writing/designing and feel that, whether the blog reaches thousands or merely fifty-eight, I want it to be a platform where God is glorified through my being authentic, open and encouraging in every word. So, just like wiping away sticky cobwebs and scrubbing floors clean, I am in the process of preparing Authentic Virtue to really shine. 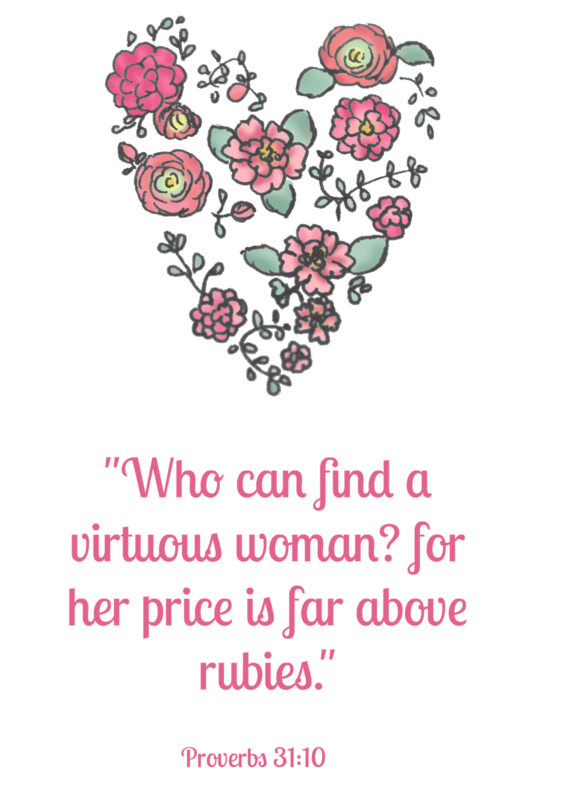 There will be more consistency, more authenticness and praise of virtuous womanhood. Which reminds me, the pretty title, sidebar, and signature graphics which decorate my walls come from Hannah at We Lived Happily Ever After . She makes beautiful things for both blogs and homes … and she definitely would love a visit from your beautiful self. Frannie, your blog doesn't need to be aimed specifically at young ladies, though of course that is good. But…I'm in my , ahem, later years (!) and I find something to think about so often when I read your words. I'm glad you have gone back to the original name. You are such a blessing to me!! I hope that cute bird has nested in your apple tree!